This chapter has grown into another book on Christian deliverance and healing principles. 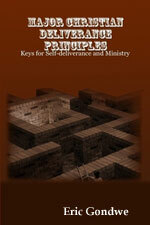 The book is titled All Fasting Principles: Biblical Purpose, Prayer, Power, Price, Precautions, etc. Its free online first edition is currently available at AllFasting.com.